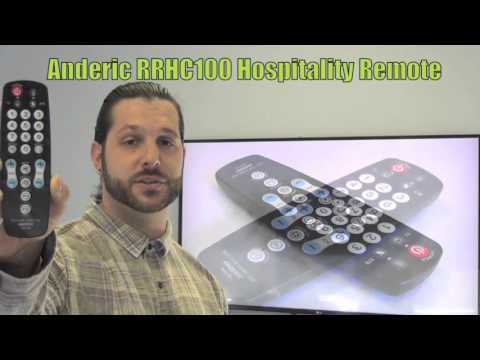 The original ANDERIC RRHC100 Membrane Hospitality TV Remote Control is in-stock and ships within 24 hours. 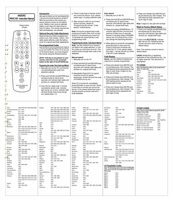 The original ANDERIC RRHC100 Membrane Hospitality TV Remote Control carries a 1-Year Warranty. Being that my father suffers from Alzheimer's and Dementia, it has been quite a challenge for me as a fa,ily me,her to understand how my father keeps losing his tv remote considering he spends his days in his recliner. Finally a company who shares my frustration with the perfect solution! 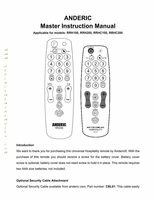 The Anderic RRHC 100 TV remote is a perfect fit for my father due to its large easy to see basic functions buttons, and even better that it is adaptable to his Samsung Smart TV as well. I also purchased the Anderic CBL01 Security Cable that attaches to the TV remote and to his night stand with a cord that can stretch up to 6 feet for ease of use and not lose it. It is a great find, one that is the perfect price and extremely easy to use. by Barbara on March 21, 2019.
by Michael on February 12, 2019.
by diane on January 22, 2019. Remote operate perfectly and are easy to program. You can't beat the price either. by Jon on January 18, 2019.
by alexander on November 13, 2018.
by IKBAL on October 16, 2018.
by Ray on September 03, 2018.
by presence health on August 29, 2017. Amazing product. Client very satisfied. by ariel on August 24, 2017.
works great and received right away. I may order another!!! by Ann on August 19, 2017.
by gary on July 26, 2017.
by Kirit on March 03, 2017. Works and is constructed well. by Steven on February 21, 2017.
by Jitendra on October 07, 2016. Once again you guy's provided a good product, easy to use and clean with top notch service. by zalonda on August 30, 2016. 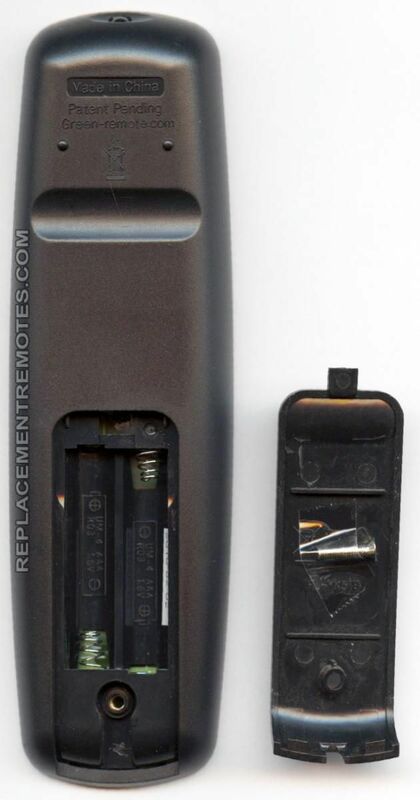 This remotes works well and is easy to use. The sales rep was very helpful as well. by peter on June 24, 2016.
by Anonymous on April 25, 2016. Easy to clean and minimal expense product. by Greg on August 26, 2016.